What is Paediatric Orthopaedics ? This is a branch of Orthopaedics which deal with the bone disorders in children; that is from birth to maturity. This includes a very wide array of problem that encompass birth deformities, genetic disorders, skeletal dysplasias, bone infections, fractures, dislocations, growth anomalies, limb deformities, limb shortening, dwarfims etc..
What is so different about this branch ? The variety of disorders leads to a long learning curve. The saying goes that “A Child is not a small Adult” . Hence what applies as a good treatment option in adults, is not necessarily so for children. This needs considerable training on the part of the Surgeon. Hence the learning curve is long and steep. It is a rewarding branch nonetheless when you are part of a child’s life and the whole family interacts and is involved in the treatment. 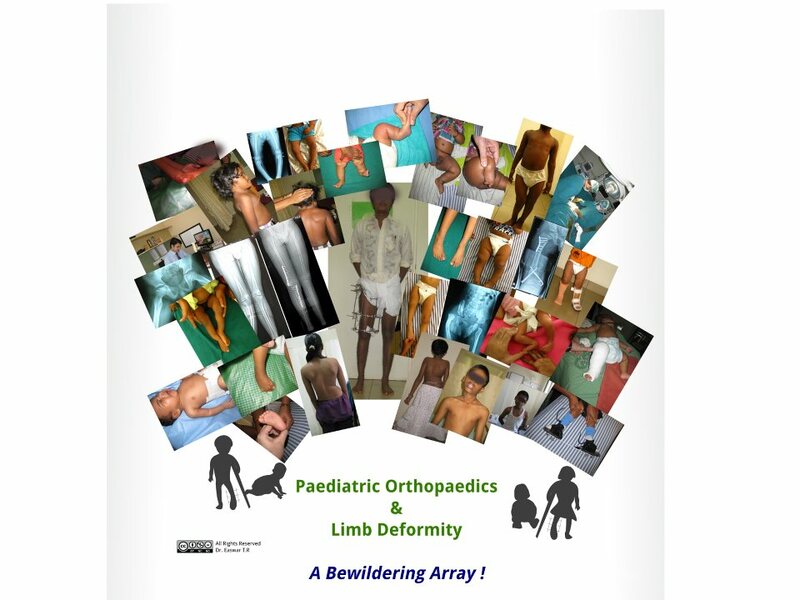 The huge variety of Paediatric orthopaedic and Limb deformities in mind boggling.